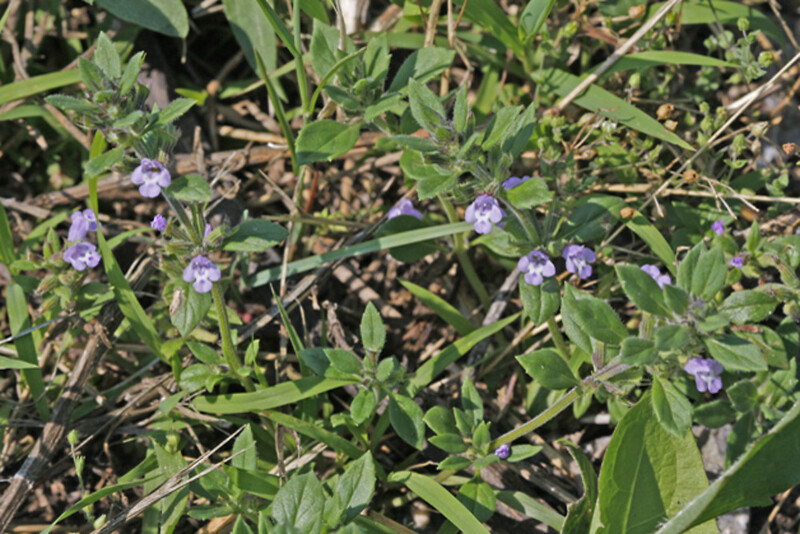 Basil-thyme is native to Europe and introduced in scattered locations across northern North America, including New England. 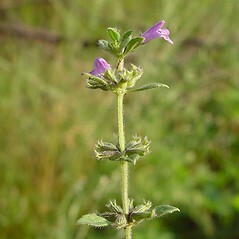 inflorescence of verticillasters with numerous flowers at the stem apex and upper 1-3 nodes, calyx glabrous inside the connate tube, and plants perennial, with stolons (vs. C. acinos, with the inflorescence of verticillasters with 2-6 flowers in the axils of many of the foliage leaves, calyx pubescent inside the connate tube, and plants annual to short-lived perennial, lacking stolons). 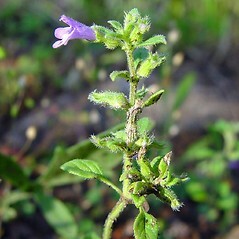 calyx with a small, transverse ridge on the upper lip, the upper lip deciduous in fruit, and leaves with blades 10-16 mm long, usually sessile (vs. C. acinos, with the calyx lacking a transverse ridge on the upper lip, the entire calyx persistent in fruit, and leaves with blades 6-12 mm long, usually on short petioles 1-2 mm long). Calamintha acinos (L.) Clairville ex Gaud. 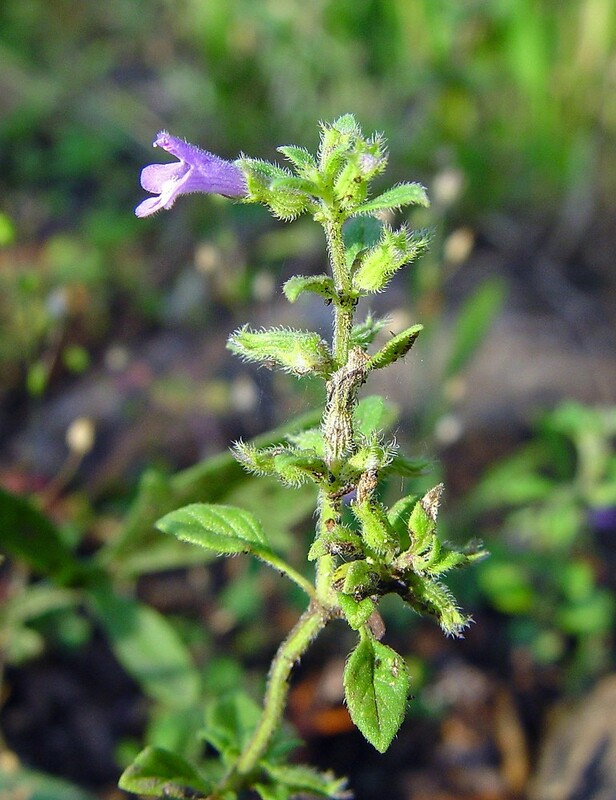 basil-thyme. 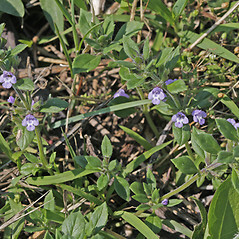 Acinos arvensis (Lam.) Dandy; Calamintha acinos (L.) Clairville ex Gaud. 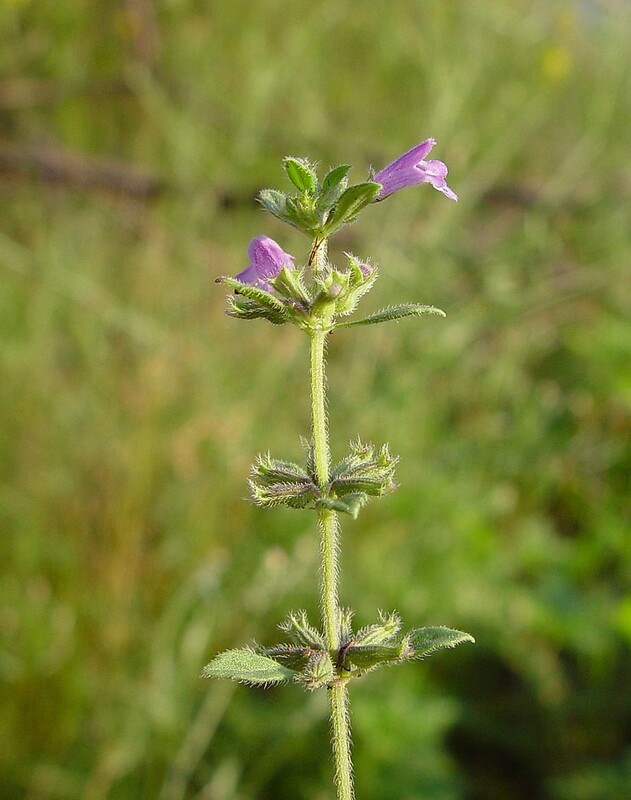 ; Satureja acinos (L.) Scheele; Thymus acinos L. • CT, MA, ME, VT. Fields, roadsides, trail edges, waste areas.